The best dressed tables come to us! From our range of plain coloured tableware, available in 13 colours, to themed family favourites - Party on Up to pep up your party tables. 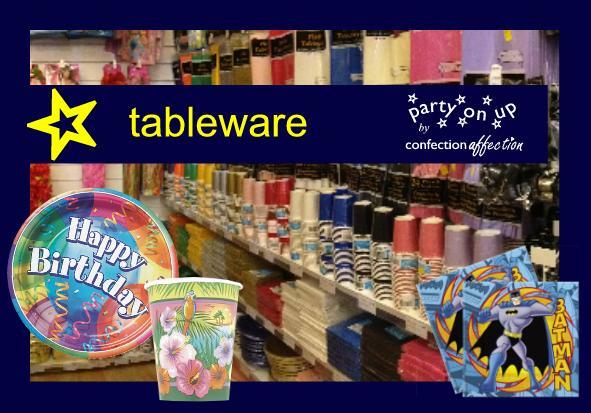 Plates, cutlery, napkins, table covers and cups - we have quality co-ordinated partyware in stock with additional, complementary partyware such as crepe streamers, balloon arrangements and centrepieces. 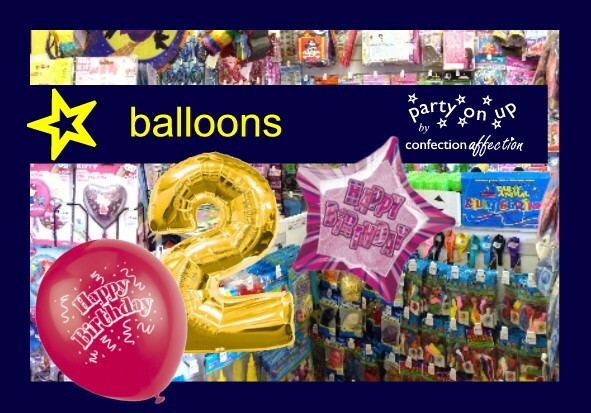 If you are arranging a fun children's party - Party on Up is your one-stop shop for great party accessories. 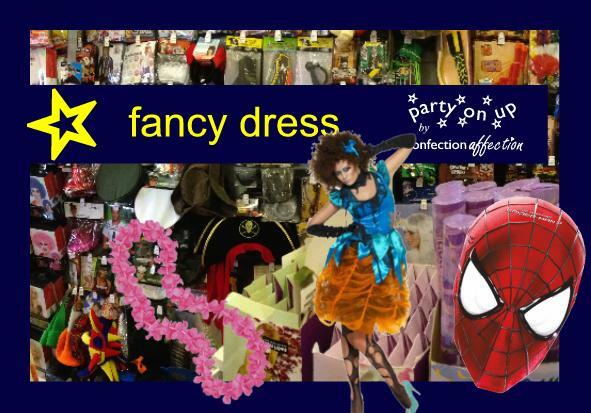 We have many popular themes to choose from, such as Pirate Party, Princess Party, and our new Panda Party range. We have popular characters too, including Nemo, The Muppets, Batman, Spiderman, Frozen, Thomas the Tank Engine and Disney favourites. 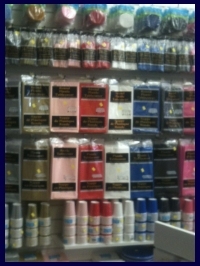 Mix these with our party/loot bags, banners, balloons and party hats for a full-on party experience!